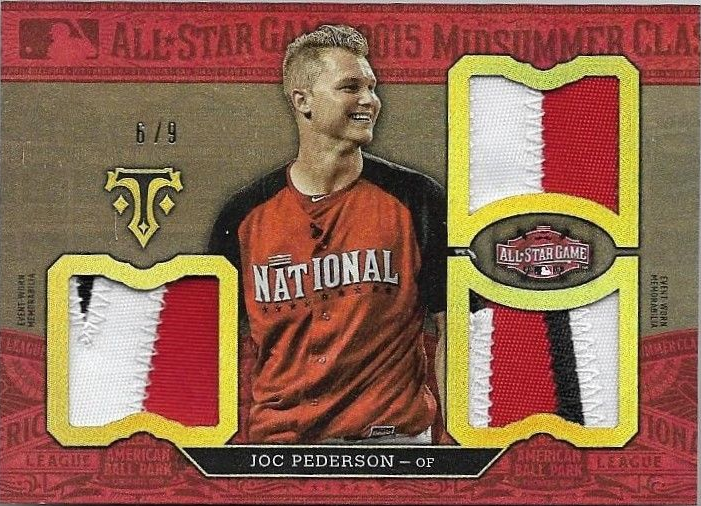 Featured below is a running checklist (and some pics) of the scarce Dodgers cards found in packs of 2016 Triple Threads; including the All-Star and Deca cards. 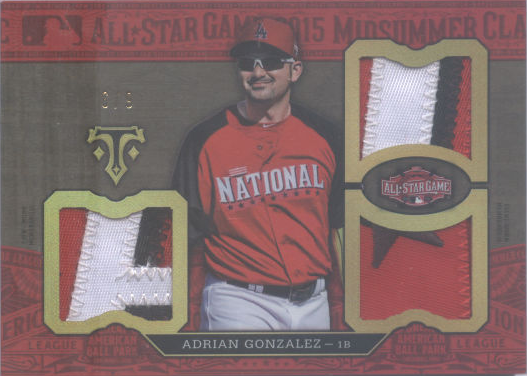 I hope to have pics of most of the various Triple Threads relic and relic autographs soon. So... What are the Dodgers doing while they await their NLDS this coming weekend against the Nationals? Watching some wrestling, of course. 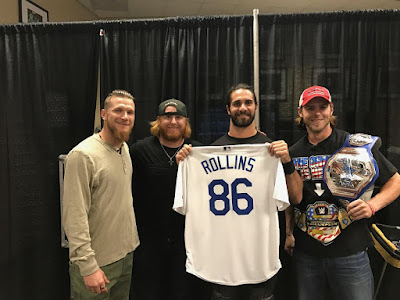 Featured above are JP Howell, Justin Turner and Josh Reddick, along with WWE star Seth Rollins, at Monday Night RAW in the Staples Center. As you can see, they gave Rollins his very own Dodgers jersey. 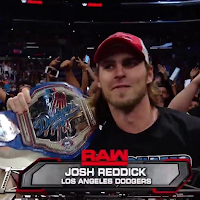 BTW, Reddick is also seen holding the Dodgers "Player of the Game" belt on his shoulder. 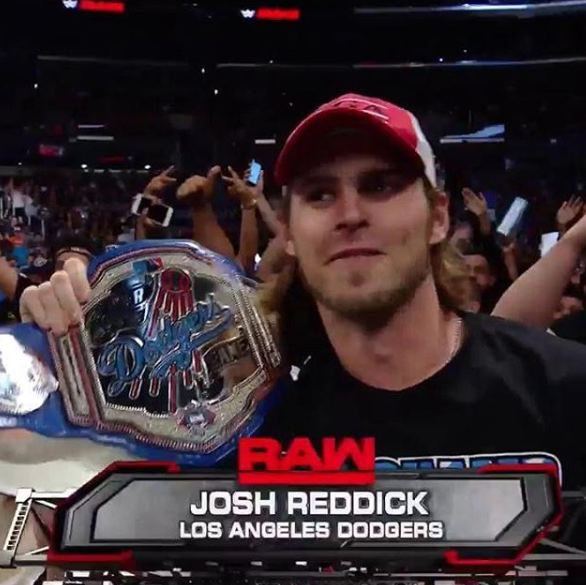 In fact, he would later on show off the belt to the wrestling fans in attendance, via a photo shared by Reddick on Instagram on the right. This Day in Dodgers History: In 1955 the unbelievable happened. The Brooklyn Dodgers, behind the brilliant pitching of Johnny Podres, captured their very first World Championship in franchise history. They defeated the hated NY Yankees in seven games. In 1959 the Dodgers won the teams very first playoff game in Los Angeles when they defeated the Chicago White Sox, 3-1. This win put them up two games to one in the series. They would later on win the World Series in the sixth game four days later. In 2006 the worst play in Dodgers playoff history happened (in my opinion) when two runners are thrown out at home plate on the same throw during Game 1 of the NLDS against the Mets. 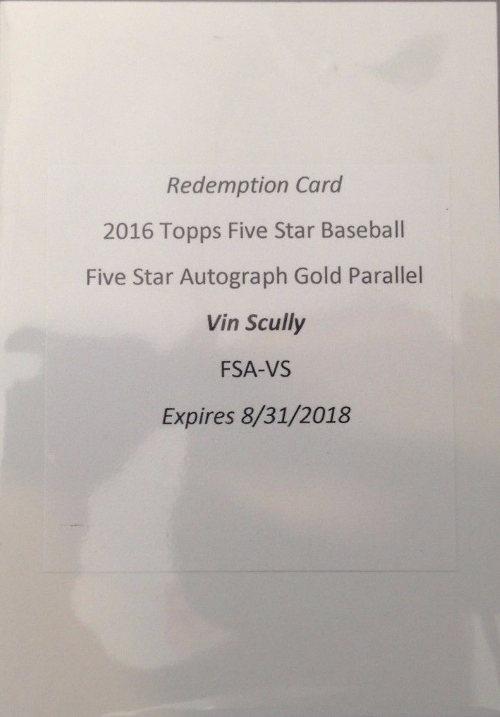 You can relive the horror here. Happy Birthday, Mike Sharperson, Stephen Fife and Tony Gwynn Jr.!